The franchise was formed in 1971 as the New England Whalers of the World Hockey Association (WHA), and joined the NHL in 1979 as part of the NHL–WHA merger, renaming themselves the Hartford Whalers. The team relocated to North Carolina in 1997 and won the 2006 Stanley Cup over the Edmonton Oilers in seven games, giving the state of North Carolina its first major professional sports championship. The New England Whalers were established in November 1971 when the World Hockey Association (WHA) awarded a franchise to begin play in Boston, Massachusetts. For the first two years of their existence, the club played their home games at the Boston Arena and Boston Garden. With the increasing difficulty of scheduling games at Boston Garden (owned by the NHL rival Boston Bruins), the owners decided to move the team to Hartford, Connecticut, beginning with the 1974–75 season. While waiting for the completion of a new arena in Hartford, the Whalers played the first part of the season at The Big E Coliseum in West Springfield, Massachusetts. On January 11, 1975, the team played its first game in front of a sellout crowd at the Hartford Civic Center Coliseum, and would maintain its home there through 1997. As one of the most stable WHA teams, the Whalers, along with the Edmonton Oilers, Quebec Nordiques and Winnipeg Jets, were admitted to the NHL when the rival leagues merged in 1979. However, under pressure from the extant NHL team in the New England area, the Boston Bruins, the Whalers were compelled to rename the team the Hartford Whalers. The Whalers were never as successful in the NHL as they had been in the WHA, recording only three winning seasons. They peaked in the mid-to-late 1980s, winning their only playoff series in 1986 over the Nordiques before bowing out in the second round to the Montreal Canadiens, taking the Habs to overtime of Game 7 in the process. The next year, the club secured the regular-season Adams Division title, only to fall to the Nordiques in six games in the first round of the playoffs. In 1992, the Whalers made the playoffs for the final time, but were bounced in the first round in seven games by the Canadiens. Two years later, the team hired Jim Rutherford as general manager, a position that he would hold within the franchise for twenty years. The organization retains many Whaler connections among its off-ice personnel; in addition to many members of executive management and the coaching staff, broadcasters Chuck Kaiton, John Forslund and Tripp Tracy (at the time a minor-league player), and equipment managers Wally Tatomir, Skip Cunningham and Bob Gorman all made the move to North Carolina with the team. Finally, the old goal horn from the Hartford Civic Center remains in use at PNC Arena. The Whalers were plagued for most of their existence by limited marketability. Hartford was the smallest American market in the league and was located on the traditional dividing line between the home territories for New York City and Boston teams. It did not help matters that the Hartford Civic Center was one of the smallest arenas in the league, seating under 16,000 spectators for hockey. The Whalers' off-ice problems were magnified when the start of the 1990s triggered a spike in player salaries. Despite promising to leave the team in Hartford until at least 1998, franchise owner Peter Karmanos Jr. announced that the team would move to North Carolina for the 1997 season. Despite assurances made when he purchased the team in 1994 that the Whalers would remain in Hartford at least through 1998, in March 1997, owner Peter Karmanos announced that the team would move elsewhere after the 1996–97 season because of the team's inability to negotiate a satisfactory construction and lease package for a new arena in Hartford. On May 6, 1997, Karmanos announced that the Whalers would move to the Research Triangle area of North Carolina and the new Entertainment and Sports Arena (ESA) in Raleigh. Due to the relatively short time frame for the move, Karmanos himself thought of and decided upon the new name for the club, the Carolina Hurricanes, rather than holding a contest as is sometimes done. Later that summer, the team dropped the Whalers' colors of blue, green and silver for a new black-and-red scheme, matching the colors of the North Carolina State University Wolfpack, with whose men's basketball team they would share the arena in Raleigh. The Hurricanes inherited the Whalers' place in the Northeast Division. Unfortunately for the team, the ESA would not be complete for two more years. The only arena in the Triangle area with an ice plant was 45-year-old Dorton Arena; at 5,100 seats, it was completely inadequate even for temporary use. The Hurricanes were thus forced to play home games in Greensboro, 90 minutes west of Raleigh, for their first two seasons after the move. However, the team would be based in Raleigh and practice in nearby Hillsborough—effectively saddling the Hurricanes with 82 road games for the next two years. This choice was disastrous for the franchise's attendance and reputation. With a capacity of over 21,000 people for hockey, the Greensboro Coliseum was the highest-capacity arena in the NHL. However, Triangle-area fans balked at making the 80-mile drive down I-40 to Greensboro. Likewise, fans from the Piedmont Triad mostly refused to support a lame-duck team that had displaced the popular Greensboro/Carolina Monarchs minor-league franchise. As a result, while the opening game drew a sellout (and is still the largest home crowd in franchise history), most games in Greensboro attracted crowds of 10,000 or fewer. The crowds looked even smaller than that in the cavernous environment. Furthermore, only 29 out of 82 games were televised (over-the-air and cable combined), and radio play-by-play coverage on WPTF was often pre-empted by Wolfpack basketball (for whose broadcasts WPTF was the flagship station), leaving these games totally unavailable to those who did not have a ticket. With by far the smallest season-ticket base in the NHL and attendance figures routinely well below the league average, Sports Illustrated ran a story titled "Natural Disaster", and ESPN anchors mocked the "Green Acres" of empty seats; in a 2006 interview, Karmanos admitted that "as it turns out, [Greensboro] was probably a mistake." Under the circumstances, the Hurricanes managed to stay competitive, but still finished last in the Northeast Division with 74 points, nine points out of the playoffs. For 1998–99, the Hurricanes curtained off most of the upper deck lowering the Coliseum's listed capacity to about 12,000. Attendance continued to lag. Most games attracted crowds of well under 10,000. Conversely, on the ice the Hurricanes' performance improved led by the return of longtime Whalers' captain Ron Francis, Keith Primeau's 30 goals, and Gary Roberts' 178 penalty minutes. They tallied their first winning season and playoff appearance since 1992. They also won the newly formed Southeast Division by eight points, only their second division title as an NHL team (following the 1987 Adams Division title as the Whalers). Tragedy struck hours after the team's first-round loss to the Bruins, when defenseman Steve Chiasson was thrown from his pickup truck and killed in a single-vehicle drunk-driving accident. Despite a move to the newly completed arena in Raleigh, the Hurricanes played lackluster hockey in 1999–2000 failing to make the playoffs. This season was marked by an ultimately franchise-altering mid-season trade which saw Primeau dealt to the Philadelphia Flyers in exchange that included future captain Rod Brind'Amour. In 2000–01, however, they claimed the eighth seed, nosing out the Boston Bruins, and landed a first-round match-up with the defending champions, the New Jersey Devils. The Devils eliminated the Hurricanes in six games. Down 3–0 in the series, the Hurricanes extended it to a sixth game, thereby becoming only the tenth team in NHL history to do so. Game 6 in Raleigh featured their best playoff crowd that year, as well as their loudest. Despite the 5–1 loss, Carolina was given a standing ovation by their home crowd as the game ended, erasing some of the doubts that the city would not warm up to the team. The Hurricanes made national waves for the first time in the 2002 playoffs. They survived a late charge from the Washington Capitals to win the division, but expectations were low entering the first round against the defending Eastern Conference champion New Jersey Devils. However, Artūrs Irbe and Kevin Weekes were solid in goal and the Hurricanes won two games in overtime as they defeated the Devils in six games. Their second-round matchup was against the Montreal Canadiens, who were riding a wave of emotion after their captain Saku Koivu's return from cancer treatment. In the third period of Game 4 in Montreal, down 2–1 in the series and 3–0 in the game, Carolina would tie the game and later win on Niclas Wallin's overtime goal. The game became known to Hurricanes fans as the "Miracle at Molson"; Carolina won the next two games by a combined 13–3 margin over a dejected Habs club to take the series. In the Eastern Conference Finals, Carolina met the heavily favored Toronto Maple Leafs. In Game 6 in Toronto, the Leafs' Mats Sundin tied the game with 22 seconds remaining to send it to overtime, where Carolina's Martin Gelinas would score to send the franchise to their first Stanley Cup Finals appearance. During this series, several Hurricanes fan traditions drew hockey-wide media attention for the first time: fans met the team at the airport on the return from every road trip and echoed football-season habits honed for games across the parking lot by hosting massive tailgate parties before each home game, a relative novelty in the cold-weather-centric NHL. Inside the building, the CBC's Don Cherry lauded the RBC Center as "the loudest building in the NHL", praise that would be echoed in 2006. In the Stanley Cup Finals, Carolina would face the Detroit Red Wings, thought to be the prohibitive favorite all year. Though the Hurricanes stunned the Wings in Game 1 when Ron Francis scored in the first minute of overtime, Detroit stormed back to win the next four games. Game 3 in Raleigh featured a triple-overtime thriller eventually won by Detroit's Igor Larionov, the oldest player to score a last-round goal. Eric Staal was drafted by the Hurricanes in the 2003 NHL Entry Draft. He was later named team captain in 2010. He was later traded to the New York Rangers. The Hurricanes looked poised to pick up where they left off in the 2002–03, but never recovered from a 10-loss January and finished dead last in the league with 61 points. After a similarly slow start to the 2003–04 season, Paul Maurice, who had been the team's coach since midway through their next-to-last season in Hartford, was fired and replaced with former New York Islanders bench boss Peter Laviolette. Under Laviolette, Weekes remained tough, but the offense was suspect; center Josef Vasicek led the team with a mere 19 goals and 26 assists for 45 points. Many of the new fans attracted to the team (and to hockey itself) during the 2002 playoff run lost interest and attendance declined. One of the few positive results of these losing years was the team's drafting of Eric Staal in 2003. The outcome of the 2004–05 NHL lockout led to the shrinking of the payroll to $26 million. The Hurricanes turned out to be one of the NHL's biggest surprises, turning in the best season in the franchise's 34-year history (including the years as the Whalers). They finished the regular season with a 52–22–8 record and 112 points, shattering the previous franchise records of 94 points (in the WHA) set by the 1972–73 Whalers and 93 points (in the NHL) set in 1986–87. It was the first time ever that the franchise had passed the 50-win and 100-point plateaus. The 112-point figure was good for fourth overall in the league, easily their highest overall finish as an NHL team (tied with the third-overall Dallas Stars in points, but with one fewer win than the Stars) and second in the East (one point behind the Ottawa Senators). The Hurricanes also ran away with their third Southeast Division title, finishing 20 points ahead of the Tampa Bay Lightning. Attendance increased from 2003–04, averaging just under 15,600 per game, and the team made a profit for the first time since the move from Hartford. In the playoffs, after losing the first two games of the conference quarterfinal series against the Montreal Canadiens, Laviolette lifted goalkeeper Martin Gerber, who had been struggling to regain his form after playing through a bout of intestinal flu, in favor of rookie Cam Ward. The Hurricanes went on to win both games in Montreal, tying up the playoff series and turning the momentum around, winning the series on a Game 6 overtime goal by Cory Stillman. Carolina then faced the New Jersey Devils in the conference semi-finals, which proved surprisingly one-sided, as the Hurricanes beat the Devils in five games. Stillman struck again, once again scoring the series-winning goal. In the Eastern Conference Finals, the Hurricanes faced the Buffalo Sabres, who had finished just one spot behind the Hurricanes in the overall standings. The contentious series saw both coaches – Lindy Ruff and Laviolette – taking public verbal shots at each other's team, but in the deciding Game 7, the Hurricanes rallied with three goals in the third to win by a score of 4–2. Rod Brind'Amour scored the game winner as the Hurricanes reached the Stanley Cup finals for the second time in team history. The Hurricanes celebrate following their game seven victory in the 2006 Stanley Cup Finals. The Stanley Cup Finals Hurricanes facing the Edmonton Oilers. The Hurricanes rallied from a 3–0 deficit in Game 1 to win 5–4 after Rod Brind'Amour scored with 30 seconds left. In Game 2, the Hurricanes shelled the Oilers 5–0 to take a two-game lead. The Oilers won Game 3 in Edmonton, 2–1, as Ryan Smyth scored the game-winning goal with 2:47 left to play. Carolina rebounded in Game 4 with a 2–1 victory, and came home with a chance to win the Cup on home ice. However, Game 5 saw the Oilers come back with a stunning 4–3 overtime win on a shorthanded breakaway by Fernando Pisani. In Game 6 in Edmonton, Carolina was soundly defeated 4–0; the only bright point for the Hurricanes was the return of forward Erik Cole from a broken neck that had sidelined him since March. In Game 7, before the second-largest home crowd in franchise history (18,978), the Hurricanes won 3–1, sealing the Hurricanes' first Stanley Cup championship in franchise history. Ward was honored with the Conn Smythe Trophy for being the playoffs' most valuable player, becoming just the fourth rookie to be honored with the award. Several Hurricanes raised the Cup for the first time in their long NHL careers; Rod Brind'Amour and Bret Hedican had both played over 15 years without winning the Cup, while Glen Wesley, the last remaining member of the Hartford Whalers on the Hurricanes' roster, had waited 18 seasons. On the managerial side, general manager Jim Rutherford finally won the Cup in his twelfth year with the franchise since joining the Whalers in 1994. The Hurricanes Stanley Cup championship marked the first professional major league sports title for a team from North Carolina. As well, they were the first NHL team to win the Stanley Cup despite losing at least nine playoff games in that year; the 2011 Boston Bruins, the 2014 Los Angeles Kings, and the 2017 Pittsburgh Penguins are the only other teams to have achieved the feat. The Hurricanes were unable to follow up their recent success. Losing four players to free agency in the offseason and 222-man games to injury during the 2006–07, the team struggled throughout the regular season, and once eliminated in the last game, the Hurricanes finished third in the Southeast and 11th overall in the Eastern Conference. This finish made them the first champions since the 1938–39 Chicago Black Hawks to have failed to qualify for the playoffs both the seasons before and after their championship season, and the third champion overall to not defend its title after both the Blackhawks and the 1995-96 New Jersey Devils. In the 2007–08, Carolina again missed out as Washington Capitals stormed back to take the division title on the last day of the season, leaving the Hurricanes second in the division and ninth overall in the conference, and making the Hurricanes only the second club in NHL history to miss the playoffs for two seasons running after a Stanley Cup triumph. In 2009, the Hurricanes acquired Jussi Jokinen through a trade with the Tampa Bay Lightning. He has played with nine different NHL teams before leaving for the Finnish Liiga. After a slow start to the 2008–09 season, Cup-winning coach Peter Laviolette was fired in early December and replaced by his own predecessor, Paul Maurice. Teetering on the edge of the playoff picture again, the club, on February 7, acquired utility forward Jussi Jokinen from the Tampa Bay Lightning in exchange for Wade Brookbank, Josef Melichar and Carolina's fourth round draft pick in 2009, then reacquired winger Erik Cole from the Edmonton Oilers at the March trade deadline and proceeded on a 12–3–2 run to close out the season. The stretch run included nine straight wins, matching a franchise record from the 2005–06 season, and capped off a streak of 12 straight home wins, which set a new franchise mark. The team finished sixth in the Eastern Conference with 97 points, the second-most points in franchise history. The Hurricanes' 2009 playoff run featured two tight series with dramatic finishes. Game 4 of the first round matchup with the New Jersey Devils saw Stanley Cup playoff history when Jussi Jokinen scored with .2 seconds left in regulation to win the game, the latest regulation game-winning goal in NHL history. Then, in Game 7, the Devils took a 3–2 lead into the final two minutes of the game at the Prudential Center in Newark before the 'Canes struck. With 1:20 to play, Tim Gleason saved a puck on his knees at the right point, passed it to Joni Pitkanen on the left boards, who then hit Game 4 hero Jussi Jokinen at the far post for the tying goal. Just 48 seconds later, Chad LaRose sprang Eric Staal for a solo down-ice rush to give the Canes 4–3 game and series wins; Staal's goal was the latest regulation Game 7 winning goal in playoff history. In the second round matchup with the top-seeded Boston Bruins, the 'Canes ran out to a 3–1 lead before the Bruins battled back for two wins. In Game 7 in Boston, Scott Walker scored the game and series winner 18:46 into overtime to send Carolina to the Eastern Conference finals against the Pittsburgh Penguins. The Penguins, though, put a decisive end to the 'Canes' string, sweeping the series 4–0 on the way to their own Stanley Cup championship. As a result of their surprise run, very few changes were made in the off-season. Veterans such as Aaron Ward, Andrew Alberts, and Stephane Yelle were brought in to help drive the team further, but things did not go according to plan. The Hurricanes experienced a 14-game losing streak spanning October and November, and midway through the year, the 'Canes replaced their only post-lockout captain Rod Brind'Amour with Eric Staal. Despite improved play during the second half of the season, they could not overcome the deficit from early on in the season. The Hurricanes would end up with the seventh overall pick in the 2010 NHL Entry Draft, eventually selecting Jeff Skinner from the Kitchener Rangers of the Ontario Hockey League (OHL). Brind'Amour retired over the 2010 off-season to take a coaching job with the club. Jeff Skinner was awarded the Calder Memorial Trophy for his rookie season performance in the 2010–11 season. The 2010–11 season was widely expected to be a transitional year from the veteran-heavy, high-salary club that opened 2009–10 to a younger, cheaper base. The Hurricanes contended for a playoff slot for the entire season aided by Skinner's emergence as an offensive phenomenon who, as the youngest player in the league, would lead all rookies in points. Raleigh hosted the 2011 NHL All-Star Game in January, and Eric Staal captained a team he selected (opposite a team selected by the Detroit Red Wings' Nicklas Lidstrom) that featured Skinner (the youngest All-Star in NHL history), Cam Ward, and (for the SuperSkills competition) defenseman Jamie McBain. The Hurricanes went into the final day of the season able to determine their own fate, but lost 6–2 to the Tampa Bay Lightning to finish ninth in the East. Skinner was awarded the Calder Memorial Trophy as rookie of the year, the first player in franchise history to receive that honor. In December 2011, the Carolina Hurricanes fired coach Paul Maurice and hired Kirk Muller. On February 20, 2012, the Carolina Hurricanes signed Tim Gleason to a four-year, $16 million extension and two days later, on February 22, they also signed Tuomo Ruutu to a four-year, $19 million extension. Two months later the Carolina Hurricanes announced that they had signed Jiri Tlusty to a two-year deal that would pay him $1.5 million for 2012–13 and $1.7 million for 2013–14 (Gleason and Tlusty would eventually be traded to the Washington Capitals and the Winnipeg Jets over the next few seasons). Despite the signings of Gleason, Ruutu, and Tlusty, the Hurricanes would finish fifth in the Southeast Division and twelfth in the Eastern Conference during the 2011–12 season, which forced them to miss the playoffs for a third consecutive season. On May 9, 2012, the 2006 Stanley Cup Champions Carolina Hurricanes' Game 7 victory was recognized as one of the NC Hall of Fame's "Great Moments" series. During the 2012 NHL Entry Draft, the Carolina Hurricanes traded Brandon Sutter, Brian Dumoulin and their 2012 first round draft pick (Derrick Pouliot) to the Penguins in exchange for Jordan Staal, uniting the player with his older brother, Eric Staal. On March 25, 2013, the Hurricanes signed Alexander Semin to a five-year deal, worth $35 million. However, in the lockout-shortened 2012–13 season, the team would finish third in the Southeast Division and thirteenth in the Eastern Conference, which would make the team miss the playoffs for the fourth consecutive season. Bill Peters was named the head coach of the Hurricanes in June 2014. He maintained the position until his resignation in April 2018. Before the 2013–14 season, the Hurricanes were realigned into the new Metropolitan Division. They would finish seventh in the division during the 2013–14 season (ahead of only the New York Islanders) and would miss the playoffs for the fifth consecutive season, which prompted management to fire head coach Kirk Muller. In addition, longtime general manager Jim Rutherford was moved to an advisory role after the season with longtime Whalers/Hurricanes star Ron Francis announced as his replacement on April 28, 2014. On June 19, 2014, Bill Peters was named head coach of the team. During the 2014–15 season, the team finished last in the Metropolitan Division and would miss the playoffs for the sixth consecutive season. After team captain Eric Staal was traded to the New York Rangers at the trade deadline, the team finished sixth in the division during the 2015–16 season. The Hurricanes finished seventh in the division in the 2016–17 season, missing the playoffs for the eighth consecutive season. Before the 2017–18 season, the Hurricanes unveiled new uniforms. On July 13, 2017, it was reported that Chuck Greenberg had sent Karmanos a letter of intent to buy the team for $500 million. On December 7, 2017, it was announced that Thomas Dundon signed an agreement to purchase the Hurricanes, which ensured that the team would not be relocated. The deal was finalized on January 11, 2018, with Dundon becoming majority owner and having a 61 percent stake in the team, while Karmanos retained a minority interest. Dundon wasted little time in overhauling the Hurricanes' front office. On March 8, 2018, the team announced that general manager Ron Francis had been moved to the role of president of hockey operations"; however, Sportsnet reporter Elliotte Friedman reported that the "promotion" was likely in name only, noting that there were rumblings Francis and Dundon did not see "eye-to-eye." Subsequently, coach Bill Peters resigned from his position on April 20, 2018 to pursue a similar opportunity with the Calgary Flames (he ultimately replaced Glen Gulutzan as the Flames' head coach three days later), and the Hurricanes officially fired Francis from the organization altogether on April 30, 2018, leaving vacancies in both the head coach and general manager positions. Early in the Hurricanes' search for a replacement general manager, it was reported that Dundon's salary offerings for the position could be prohibitive in attracting quality candidates. Sportsnet's Nick Kypreos reported that the Hurricanes were offering "in the ballpark of $400,000 a year", a fraction of the salary figures of many other teams' coaches, let alone those of their general managers, who serve in a higher-ranking position. Leading up to Kypreos' report, candidates such as Nashville Predators assistant general manager Paul Fenton, New Jersey Devils assistant general manager Tom Fitzgerald, and Los Angeles Kings assistant general manager Mike Futa had all reportedly passed on the position. Ultimately, on May 8, 2018, the Hurricanes announced the hiring of former Atlanta Thrashers general manager Don Waddell as team president and general manager. Waddell had previously been serving as the team's interim general manager since the promotion of Francis. At the same time, it was announced that former team captain Rod Brind'Amour had been named head coach, after having served on the team's coaching staff as an assistant coach since 2011. On April 4, 2019, the Hurricanes won 3–1 over the New Jersey Devils, clinching a playoff spot for the first time since 2009 and only the second time since their Cup win. During their stretch run, the Hurricanes gained notice for their on-ice victory celebrations, which they called "Storm Surges." This led Don Cherry of Hockey Night in Canada to call the Hurricanes a "bunch of jerks." The Hurricanes adopted "Bunch of Jerks" as a battle cry, even going as far as projecting it on the ice at PNC Arena before and after games. On April 24, the Hurricanes defeated the Washington Capitals 4–3 in double overtime in game seven, winning their first playoff series since 2009. Besides the above numbers, Wayne Gretzky's No. 99 was retired for all the NHL's member teams at the 2000 NHL All-Star Game. 1 When the Whalers moved to North Carolina to begin the 1997–98 NHL season, they returned the previously retired #2 for Rick Ley (D, 1972–1981) and #19 for John McKenzie (RW, 1977–1979) to circulation, while retaining Howe's #9 without public display. Wesley (who wore No. 20 in Hartford) was the only Hurricane to wear #2 prior to its re-retirement; #19 has been issued to several players since the move. Rod Brind'Amour was the Hurricanes' team captain from 2005 to 2010. Paul Coffey spent one and a half seasons in Carolina near the end of his career (as well as, two seasons prior, 20 games in Hartford) was inducted in 2004. Ron Francis captained the team in both Hartford and Carolina and spent 15 years with the franchise overall as a player before joining its staff in 2006, was inducted into the Hockey Hall of Fame in 2007. He is the third Hall of Famer to have earned his credentials primarily with the Whalers/Hurricanes franchise. Mark Recchi played for the team at the end of the 2005–06 season when he was traded from the Pittsburgh Penguins. He was inducted in 2017. In the franchise's history, WHA and NHL Whalers Gordie Howe, Mark Howe and Dave Keon are all members, as is Bobby Hull, although he only played nine games in Hartford. In addition, longtime franchise radio play-by-play announcer Chuck Kaiton received the Foster Hewitt Memorial Award in 2004, an honor granted by the Hall of Fame. The Hurricanes drafted Noah Hanifin 5th overall in the 2015 NHL Entry Draft. These are the top-ten point-scorers in franchise (Hartford and Carolina) history. Figures are updated after each completed NHL regular season. Note: these records include those from the Hartford Whalers. With 39 wins in the 2008–09 season, Cam Ward set the franchise record for most wins by a goaltender in a season. ^ "Table of Contents" (PDF). Carolina Hurricanes 2017-18 Media Guide. NHL Enterprises, L.P. September 25, 2017. Retrieved May 31, 2018. ^ Williams, Terrell (June 4, 2013). "Hurricanes Introduce New Home and Road Uniforms". CarolinaHurricanes.com. NHL Enterprises, L.P. Retrieved December 30, 2015. ^ "Carolina Hurricanes Brand Assets". CarolinaHurricanes.com. NHL Enterprises, L.P. Retrieved July 19, 2017. ^ Williams, Terrell (May 8, 2018). "Hurricanes Name Rod Brind'Amour as Head Coach". CarolinaHurricanes.com. NHL Enterprises, L.P. Retrieved May 8, 2018. The team also announced that Don Waddell will officially serve as president and general manager. ^ Callaghan, Gerry. "Natural Disaster." Archived December 2, 2012, at Archive.today Sports Illustrated, October 27, 1997; Web article. Retrieved November 19, 2008. ^ Burnside, Scott. "Karmanos: Hard-nosed owner, die-hard hockey fan." ESPN, June 6, 2008; Web article. Retrieved February 14, 2009. ^ "Hurricanes tighten up for playoff run in East - USATODAY.com". ^ Press, The Associated (April 4, 2007). "Hurricanes Eliminated From Playoff Race". The Washington Post. ^ "Tampa Bay Lightning at Carolina Hurricanes - April 9th, 2011". ^ "Great Moments - NC Sports Hall of Fame". ^ Tsn.Ca Staff. "Hurricanes ink F Semin to five-year, $35M contract extension". The Sports Network. Retrieved March 26, 2013. ^ "Hurricanes fire coach Kirk Muller". ^ "Ron Francis Named Hurricanes General Manager". National Hockey League. Retrieved June 17, 2018. ^ "Carolina Hurricanes lose burden of playoff expectations". ^ "Greenberg to Purchase Hurricanes for $500 Million". The Hockey Writers. July 13, 2017. Retrieved July 14, 2017. ^ "Hurricanes owner confirms he received offer to sell". National Hockey League. July 13, 2017. ^ Williams, Terrell (December 7, 2018). "Dundon Signs Agreement to Purchase Hurricanes". National Hockey League. Retrieved January 12, 2018. ^ Rosen, Dan (December 7, 2017). "Hurricanes enter into purchase agreement, will not relocate". National Hockey League. Retrieved January 12, 2018. ^ Smith, Michael (January 11, 2018). "Dundon Becomes Majority Owner of Hurricanes". National Hockey League. Retrieved January 12, 2018. ^ "Ron Francis out as general manager of Hurricanes, will serve as president of hockey ops". CBSSports.com. Retrieved June 17, 2018. ^ "Elliotte Friedman on Twitter". Twitter. Retrieved June 17, 2018. ^ "Carolina Hurricanes head coach Bill Peters resigns". Canadian Broadcasting Corporation. Retrieved June 17, 2018. ^ "Flames hire Bill Peters as new head coach". Sportsnet.ca. Retrieved June 17, 2018. ^ "Hurricanes fire former general manager Ron Francis". Canadian Broadcasting Corporation. Retrieved June 17, 2018. ^ a b "Money might be an issue in Carolina Hurricanes' GM search". Sportsnet.ca. Retrieved June 17, 2018. ^ "Hurricanes GM search being stalled because of low salary offer, says report". Sporting News. March 17, 2018. Retrieved June 17, 2018. ^ "CapFriendly - NHL Salary Caps". CapFriendly. Retrieved June 17, 2018. ^ "Rod Brind'Amour hired as head coach of Hurricanes, Don Waddell named GM". Sportsnet.ca. Retrieved June 17, 2018. ^ Jake Russell (February 17, 2019). "Don Cherry calls the Carolina Hurricanes 'a bunch of jerks' because of victory celebrations". The Washington Post. ^ James O'Brien (February 26, 2019). "Hurricanes present next evolution of 'Bunch of Jerks' trolling". NBC Sports. ^ "Carolina Hurricanes Roster". NHL.com. Retrieved October 3, 2017. ^ "Carolina Hurricanes Hockey Transactions". TSN.ca. Retrieved October 3, 2017. ^ "Hurricanes honor Wesley, retire No. 2". National Hockey League. Associated Press. 2009. Retrieved February 17, 2009. ^ "Canes to retire Brind'Amour's jersey". WRAL.com. 2010. Retrieved July 15, 2010. ^ a b "Hurricanes always honored Howe, quietly and unofficially". News & Observer (Raleigh). 2016. Retrieved October 2, 2016. ^ "Kaiton's Korner, Feb. 26 2011". National Hockey League. 2011. Archived from the original on May 12, 2012. Retrieved May 24, 2011. ^ "Tweetmail No. 118: Return of the Tweetmail". Carolina Hurricanes. 2016. Retrieved October 12, 2016. ^ "Chuck Kaiton out as Carolina Hurricanes radio broadcaster". Retrieved July 24, 2018. Andrei Igorevich Svechnikov (born 26 March 2000) is a Russian professional ice hockey winger currently playing for the Carolina Hurricanes of the National Hockey League (NHL). He was projected as a top pick in the 2018 NHL Entry Draft, where he was drafted second overall by the Hurricanes. The Charlotte Checkers are a minor-league professional ice hockey team based in Charlotte, North Carolina. They are members of the Atlantic Division of the Eastern Conference in the American Hockey League (AHL), and are the AHL affiliate of the Carolina Hurricanes of the National Hockey League (NHL). The Checkers play their home games at Bojangles' Coliseum. The current organization is the third team by this name; it succeeded a Checkers franchise which played in the ECHL from 1993 until the end of the 2009–10 ECHL season. The original Checkers team played in the city from 1956 to 1977, originally in the Eastern Hockey League and then in the Southern Hockey League. The franchise is one of six teams to directly replace and share a name with a predecessor from a lower-tier league; the others are the Bakersfield Condors, Colorado Eagles, Ontario Reign, Rockford IceHogs, and San Diego Gulls. Eric Craig Staal (born October 29, 1984) is a Canadian professional ice hockey player playing for the Minnesota Wild of the National Hockey League (NHL). Eric is the oldest of the Staal brothers, which include former teammates Marc Staal, Jordan Staal, and Jared Staal. He is a member of the Triple Gold Club, having won the Stanley Cup with the Carolina Hurricanes in 2006, and both the 2007 World Championships and the 2010 Winter Olympics with Team Canada. The Florida Everblades are a minor league ice hockey team based in Estero, Florida; near Fort Myers. They play in the ECHL and are affiliated with the Carolina Hurricanes of the National Hockey League (NHL) and the Charlotte Checkers of the American Hockey League (AHL). Their home games are played at Hertz Arena. The Everblades were founded in 1998. They play in the South Division of the Eastern Conference in the ECHL. They have only missed the playoffs once in team history (2013–14), and have made four appearances in the Kelly Cup finals, winning in 2012. Fox Sports Carolinas is an American regional sports network that is owned by The Walt Disney Company, and operates as an affiliate of Fox Sports Networks. The channel is headquartered in Charlotte, North Carolina. The channel broadcasts professional, collegiate and high school sports events, with a primary focus on North Carolina-based teams, namely the Charlotte Hornets and Carolina Hurricanes. It is available on most cable providers in North and South Carolina, with an estimated reach of four million cable television subscribers; Fox Sports Carolinas is also available nationwide on satellite providers DirecTV and Dish Network. Justin Craig Williams (born October 4, 1981) is a Canadian professional ice hockey right winger currently playing for, and serving as captain of, the Carolina Hurricanes of the National Hockey League (NHL). He has also played for the Philadelphia Flyers, Los Angeles Kings and the Washington Capitals. Williams has won the Stanley Cup three times, in 2006 with the Hurricanes, and in 2012 and 2014 with the Kings. He has played nine Game 7 playoff games in his NHL career, with his team sporting a 8-1 record in these games. He currently is tied for most goals in these games with Glenn Anderson at seven, and has the outright record for most Game 7 points with 15, which has earned him the nickname "Mr. Game 7". He has also won the Conn Smythe Trophy as playoff Most Valuable Player in 2014 with the Kings. The Carolina Hurricanes are an American professional ice hockey team based in Raleigh, North Carolina. They play in the Metropolitan Division of the Eastern Conference in the National Hockey League (NHL). The team joined the NHL in 1979 as an expansion team as the Hartford Whalers, but moved to Raleigh, North Carolina in 1997. The Hurricanes won their first Stanley Cup championship in 2006. Having first played at the Greensboro Coliseum, the Hurricanes have played their home games at the PNC Arena, which was first named the Raleigh Entertainment & Sports Arena, since 1999. The Hurricanes are owned by Tom Dundon and Don Waddell is their general manager.There have been four head coaches for the Hurricanes team. The team's first head coach was Paul Maurice, who has coached for six seasons. Maurice is the team's all-time leader for the most regular-season games coached, regular-season game wins, regular-season points, playoff games coached and playoff-game wins. Peter Laviolette is the only coach to have won the Stanley Cup with the Hurricanes in the 2006 Stanley Cup Finals. None of the Hurricanes coaches have been elected into the Hockey Hall of Fame as a builder. Maurice was the head coach of the Hurricanes since the firing of Laviolette, but was replaced by Kirk Muller on November 28, 2011. Muller was relieved of coaching duties on May 5, 2014. On June 19, 2014, the Hurricanes named Bill Peters their head coach, who decided to opt out of his contract following the 2017-18 season. On May 8, 2018, the Hurricanes named assistant coach and former team captain Rod Brind'Amour as the head coach for the 2018-19 season. The Carolina Hurricanes are a professional ice hockey team based in Raleigh, North Carolina. The team is a member of the Metropolitan Division in the Eastern Conference of the NHL. This list documents the records and playoff results for all 20 seasons the Carolina Hurricanes have completed in the NHL since their relocation from Hartford, Connecticut in 1997. The Hurricanes franchise was founded in 1971 as the New England Whalers, and played seven seasons in the World Hockey Association. The team moved to the National Hockey League in 1979, and changed names to the Hartford Whalers. The franchise played a total of 18 seasons before moving to North Carolina and changing their names to the Carolina Hurricanes. The Hurricanes are the only major pro sports team located in Raleigh. They are also the only North Carolina-based major pro sports team to ever win a championship. Carolina played its first season in the Northeast Division before moving to the Southeast Division when the NHL realigned in 1998. The Hurricanes won one Stanley Cup, in 2005–06, and two Prince of Wales Trophy as Eastern Conference champions: 2001–02 and 2005–06. Carolina has finished atop its division three times in its history. The Hurricanes have played in over 1,200 games and qualified for the Stanley Cup playoffs five times. The team's all time playoff series record in North Carolina is 41–37. The 2014–15 season represents the 18th in North Carolina. 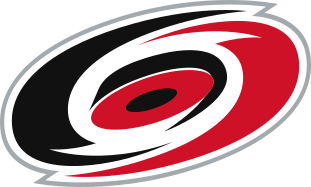 The Carolina Hurricanes are an American professional ice hockey team based in Raleigh, North Carolina. They play in the Metropolitan Division of the Eastern Conference in the National Hockey League (NHL). The team joined the NHL in 1979 as an expansion team as the Hartford Whalers, but moved to Raleigh, North Carolina in 1997. Having first played at the Greensboro Coliseum, the Hurricanes have played their home games at the PNC Arena, which was first named the Raleigh Entertainment & Sports Arena, since 1999. There have been nine general managers in franchise history since entering the NHL. The list of North Carolina hurricanes between 1950 and 1979 encompasses 79 tropical or subtropical cyclones that affected the U.S. state of North Carolina. Collectively, cyclones in North Carolina during that time period resulted in 37 total fatalities during the period, as well as about $3 billion in damage in 2008 USD. A cyclone affected the state in every year during the three decades, and in three seasons a total of five cyclones impacted the state. The strongest hurricane to hit the state during the time period was Hurricane Hazel, which struck the state as a Category 4 hurricane on the Saffir-Simpson Hurricane Scale. Hazel was both the costliest and deadliest cyclone during the period, causing over $1 billion in damage (2008 USD) and 19 deaths. Most storms affected the state in September, though cyclones impacted the state between May and October. The list of North Carolina hurricanes from 1980 to 1999 encompasses approximately 68 tropical or subtropical cyclones that affected the U.S. state of North Carolina. Collectively, cyclones in North Carolina during the time period resulted in around $10 billion in damage (2007 USD), primarily from hurricanes Fran and Floyd. Additionally, tropical cyclones in North Carolina were responsible for about 56 direct fatalities and at least 47 indirect casualties during the period. Eight cyclones affected the state in the 1985 season, which was the year with the most tropical cyclones impacting the state. Every year included at least one tropical cyclone affecting the state. All but two storms were North Atlantic hurricanes; the exceptions were Eastern Pacific hurricanes Tico in 1983 and Roslyn in 1986. The strongest hurricane to hit the state during the time period was Hurricane Fran in 1996, which struck near Wilmington as a Category 3 hurricane on the Saffir-Simpson Hurricane Scale; Hurricane Emily in 1993 brushed the Outer Banks also as a Category 3 hurricane. The deadliest hurricane during the period was Hurricane Floyd in 1999, which caused 35 fatalities and record-breaking flooding in the eastern portion of the state. Cyclones affected the state in each month of the hurricane season from June to November, primarily in September. Paul Maurice (born January 30, 1967) is a Canadian former ice hockey player and current head coach of the Winnipeg Jets of the National Hockey League (NHL). At age 43, Maurice became the youngest coach in NHL history to coach 1,000 games, reaching the milestone on November 28, 2010.Originally a defenceman in the Ontario Hockey League (OHL), Maurice played four years of junior hockey prior to suffering an eye injury. Maurice formerly coached the Hartford Whalers/Carolina Hurricanes franchise from 1995 to 2003 and the Toronto Maple Leafs from 2006 to 2008. On December 3, 2008, Maurice was re-hired by the Hurricanes after the firing of Peter Laviolette, who had replaced him in 2003. On November 28, 2011, the Carolina Hurricanes announced that he had been fired for a second time, whereupon, after a brief stint coaching Metallurg Magnitogorsk in the Kontinental Hockey League (KHL), he joined the Winnipeg Jets in January 2014. Roderic Jean Brind'Amour (born August 9, 1970) is a Canadian professional ice hockey coach and former player. He is the head coach of the Carolina Hurricanes. Brind'Amour played 20 seasons in the National Hockey League (NHL) for the St. Louis Blues, Philadelphia Flyers and Carolina Hurricanes. He captained the Hurricanes to the franchise's first Stanley Cup championship in 2006. Ronald Michael Francis Jr. (born March 1, 1963) is a Canadian former professional ice hockey centre. Drafted fourth overall in the 1981 NHL Entry Draft, Francis played 23 seasons in the NHL for the Hartford Whalers, Pittsburgh Penguins, Carolina Hurricanes and Toronto Maple Leafs. Upon retiring from professional ice hockey in 2004, Francis stood second all-time in career assists (1,249), behind only Wayne Gretzky; fifth in career points (1,798); third in games played (1,731); and 27th in career goals (549). In 2014, Francis was named as the general manager for the Hurricanes, replacing Jim Rutherford, who had been with the franchise ever since the team's move to Raleigh, North Carolina. Two years before, Francis had become a minority owner of the team as part of the five-man investor group, Playmakers Management. In March 2018, he was promoted to the president of hockey operations role. His Hurricanes contract was terminated on April 30, 2018.In 2017, Francis was named one of the '100 Greatest NHL Players' in history. Thomas Dundon (born 1972) is an American businessman, specializing in financial services and entertainment. He serves as Chairman and Managing Partner of Dundon Capital Partners in Dallas, Texas, and is majority owner and chief executive officer of the Carolina Hurricanes of the National Hockey League as well as the chairman of the now-defunct Alliance of American Football.